Home for the Holidays continues through Dec. 13 at Millwood Manor, located at 1150 Garmon Road. The tour benefits the Southeastern Horticultural Society’s Children’s Learning Garden and Farms. Perfectly suited for entertaining, the house boasts plentiful windows, which afford views to both the front and rear of the property. The private master suite features an office, vestibule, and sitting space. The lower level has ample casual entertaining areas as well as a private guest or teen suite. Virginia-Highland, one of Atlanta’s most charming neighborhoods, will welcome visitors Saturday and Sunday (Dec. 5-6) to its 21st Annual Tour of Homes. Local restaurants will provide food tastings at each tour house. Six beautiful properties will be featured. Although different in style and design, they are all equally representative of the Neighborhood’s character. Funds raised by the tour will go to support various projects around Virginia-Highland, including park improvements, safety, sidewalk and traffic concerns, planning and preservation, and other community efforts. The Avondale Estates Tour of Homes & Holiday Market will take place Sunday, Dec. 13. The tour features homes that have been sensitively restored or renovated to preserve the character of the historic city. This year’s tour spans almost 90 years beginning with an Avondale “original” built when the city was established in 1926, a recently renovated 1950s bungalow, three of the newest homes in town, and a new “Back Porch” that was added to one of the 1940s bungalows. Tickets are $15 in advance or $20 on the day of the tour. Are there other must-see home tours you gain design inspiration from? Contaminants and spills on a glazed ceramic tile are, generally, easier to clean than most other unglazed ceramic and porcelain surfaces. Glazed tile products should be cleaned routinely with an all-purpose, low VOC household or commercial cleaner. The product chosen should also be grout joint cleaning compatible. 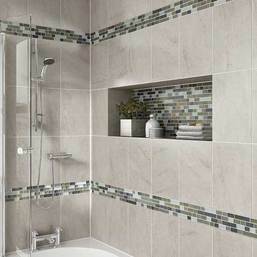 The type of product may vary depending on the tile application and use. A multipurpose spray cleaner, which removes soap scum, hard water deposits, and mildew designed for every day use, can be used on wall tile areas in residential baths and showers. The entire area should be cleaned and scrubbed with cleaner solution through the use of a cotton mop, cloth, sponge or non-metallic brush. The entire area should be rinsed with clean water to remove any cleaning solution residue. Remember that you should sweep or vacuum floor areas prior to cleaning to remove any dust or debris. Routine cleaners should never contain hazardous or polluting products including, but not limited to acids or ammonia. Acids can damage the grout and the glazed surface of the tile, and ammonia can discolor the grout. (Left to right) Panel members: Capella Kincheloe, Amy Preiser, and Susan Ferrier. Photo by Ben Rose. The speakers were ELLEDecor.com Editor Amy Preiser and interior designers Susan Ferrier and Capella Kincheloe. They discussed the four ways the Internet has changed and improved the way designers do business by playing an important role in improving communication, finding inspiration and ideas, researching and shopping, and building a web presence. MODA Floors & Interiors is serving as a drop-off point for Agape Community Center’s annual campaign to collect and distribute 1,000 backpacks filled with school supplies for children of all ages in economically challenged neighborhoods. The drive runs through July 25. MODA encourage neighborhoods, companies, churches, civic groups and individuals to participate in The Great Backpack Giveaway by donating backpacks or much-needed school supplies. 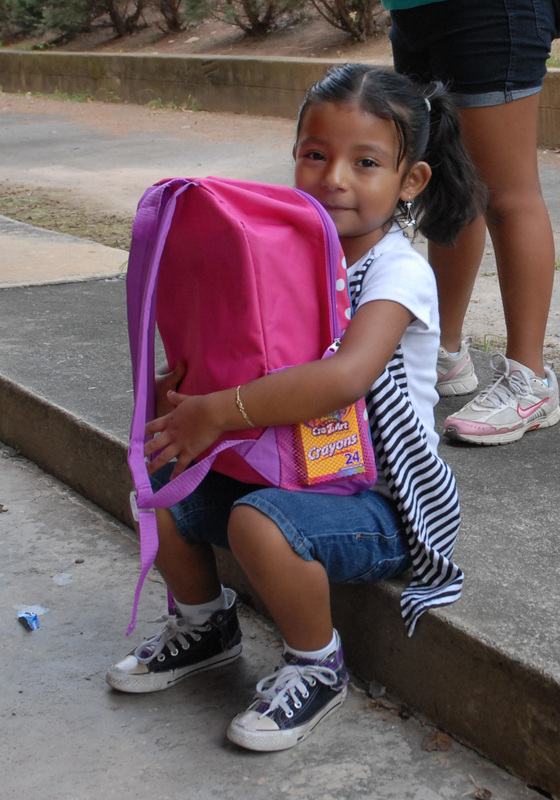 You also may drop off backpacks and supplies at Agape Community Center, located at 2353 Bolton Road. Agape is a 501c3 nonprofit organization that provides academic-based afterschool programming, day programming for seniors and disabled adults, family emergency assistance, ESOL in schools and athletic-based health and wellness enrichment camps for girls and boys during the summer. For more information, go to www.agapecc.org or call 404.367.3943. Wood Floors: What’s the Difference? 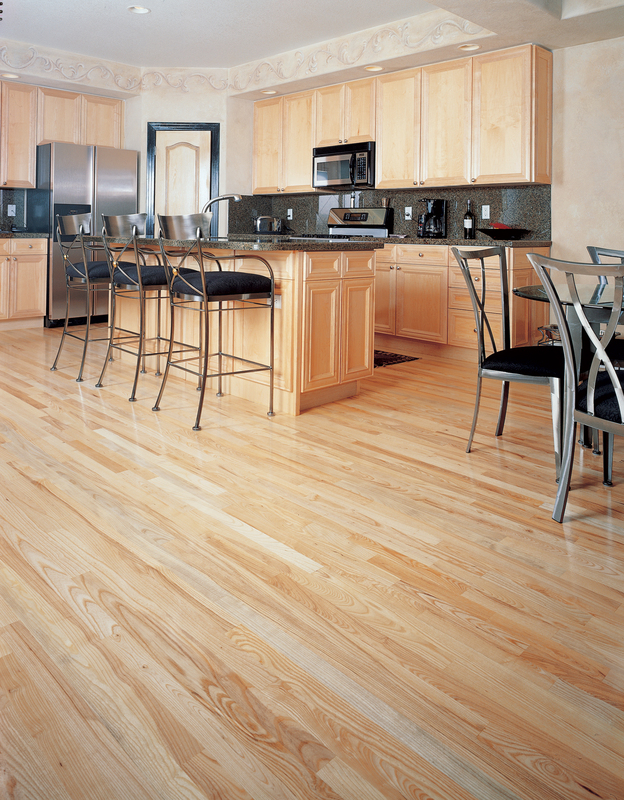 Site-finished floors are wood floors that are sanded and finished after installed in a home. These floors are left up to the homeowner’s imagination with an extensive pallet of stain colors and finishes to choose from. The sanding process can help eliminate any imperfections throughout the floor, giving you a cleaner, more uniform look. Today’s advances in technology can allow for a quick, clean and healthy finishing process. Having your floors sanded on site does mean having to stay off your floors for the duration of the sanding and finishing process. In the past this was a long and messy process with extensive clean up. With today’s advances in technology, there are dust containment vacuums and low VOC finishes that allow for a quick, clean and healthy process. Pre-finished floors have the finish applied in a factory using a UV curing process. They come in a wide variety of species, colors, thicknesses, widths and character grades but can be limited on the ability to be sanded due to the thinner wear layers. Once installed, pre-finished flooring is ready to be used and there is no sanding, dust or fumes from the finishing process. MODA Floors & Interiors has trained Bona Certified Craftsmen on staff to ensure a quality installation.